Originally chartered as The Montana State School of Mines, Montana Technological University (Montana Tech) has evolved into a dynamic institution composed of two colleges and two schools (College of Letters, Sciences, & Professional Studies; Highlands College; School of Mines and Engineering; and Graduate School); and the Montana Bureau of Mines and Geology. To be a leader for undergraduate and graduate education and research in the Pacific Northwest in engineering, science, energy, health, information sciences, and technology. Montana Tech traces its roots to the enabling act that granted statehood to the people of Montana. In that act, the United States Congress set aside 100,000 acres to establish and maintain a school of mines. In 1900, the Montana State School of Mines opened its doors. In 1965, the school underwent a name change to the Montana College of Mineral Science and Technology. On January 21, 1994, the Board of Regents adopted a plan to restructure the entire Montana University System followed by adoption of a resolution on July 6, 1995 initiating a second phase. This restructuring created the Montana University System and gave the college its new name, Montana Tech of The University of Montana. It also assigned to Montana Tech what had been the Butte Vocational-Technical Center and what is now known as Highlands College. In May of 2017, the Montana Board of Regents approved a fourth institutional classification for higher education in the state. The new classification, Special Focus Four-Year University, was given to Montana Tech, the only unit in Montana with this designation. 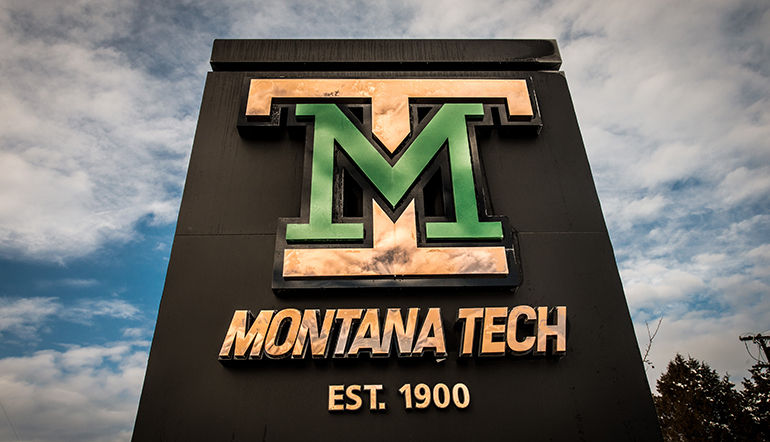 In May 2018, the Board of Regents approved a new formal name for Montana Tech, Montana Technological University. Today, Montana Tech is recognized among America’s best values in undergraduate education. Montana Tech possesses an internationally esteemed, century-old tradition of excellence in higher education. There are four schools and colleges: School of Mines and Engineering; College of Letters, Sciences, and Professional Studies; Highlands College; and Graduate School. Montana Tech offers programs of distinction. For example, Montana Tech is one of only two U.S. schools that offer a B.S. degree in geophysical engineering one of ten that offer a B.S. degree in metallurgical engineering, one of nineteen that offer a B.S. degree in mining engineering and one of only twenty that offer a B.S. in petroleum engineering. A number of Montana Tech graduates have risen to positions of leadership in resource and energy industries. Historic world class offerings in resource engineering are today complimented by an expanded array of programs in other areas of engineering, the sciences, mathematics, computation, health, business, and communication. The institution offers degree programs at the masters, bachelor, associate, and certificate levels. The student body presents a national and global snapshot with over 43 states and 13 foreign countries represented. All programs derive a special character and emphasis from the unique setting and continued tradition of high quality that has characterized Montana Tech since its founding. Montana Tech has a long-standing reputation for producing outstanding graduates. Montana Tech’s commitment to research has resulted in an unprecedented growth in its funded research over the last several years. The institution’s funding base has diversified to include local, state, and national support from the private sector and government. Undergraduate and graduate students are frequently involved with faculty and staff in research programs. The Montana Bureau of Mines and Geology (MBMG), the geologic and hydrogeologic research arm of the State of Montana, is a department of the institution. The MBMG provides service to the public and a variety of constituents within the private sector and federal, state, and local governments. The MBMG develops, gathers, analyzes, catalogs, and disseminates information concerning the location and development of the mineral, energy, and water resources of Montana.